Every summer Raptivity announces new additions to the already existing repertoire of packs. This year also something very uncommon has been released for raptivity users which gives an additional oomph to their content and presentations. The new Standard Pack 4 was released in the first week of May and is the latest addition to the Raptivity product line. It includes a variety of graphically engaging and meaningful interactions that help in organizing and presenting variegated information in a very lucid fashion. With this new pack, Raptivity continues to bring in more HTML5 interactions to its users. These interaction models can be used to present a company brochure in an interactive format online or embedded into your powerpoint presentations to make them engaging or even used in eLearning / mLearning courses where complex data is simplified into an interactive table for easy assimilation of learners. Helps build up the table and provide information at relevant areas. You could present additional information to the learner using text, image and video for every cell of the table. This interaction model helps representing information in various panels of accordion. The learner can focus on one panel while others are closed. You can showcase information in a short, precise and crisp manner with bullet points, notes and diagrams on individual post-its. The sticky notes can also be arranged as per your preference. The Standard Pack 4 interaction model list displays just one cluster of possibilities but there are many more in the making. Till then, try the new pack. Take the 14 days free trial and get to know more about Standard Pack 4 . 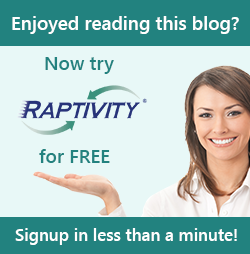 Please feel free to write to us at info@raptivity.com for any queries and suggestions.